There are countless products on the market that advertise that they are able to end an infestation of fleas on a pet. However, not all products are the same in how they work and how effective they are. Taking the time to know some differences about the various options out there will help you to make the choice that is right for your pet and the situation. Unfortunately, there isn’t any regulation when it comes to the claims that these products make and ensuring that they are safe to use on pets. Some products do clearly state that they are only safe for use on a dog or a cat and may also include a certain age or size that the animal must reach before use to prevent them from being poisoned, but there are other risks as well. Some pets, just like humans, can have serious allergies to these products. One way to test this is to use a very small amount at first just to ensure that they are not allergic. Additionally, some of these products simply are too harsh and can actually lead to organ damage or even death for some pets. To reduce the risk of this happening to your furry family member you will want to take the time to research a product before you decide to use it. Learning from the experience others have had can help to prevent you from making the wrong decision. Just like it is never recommended to use a new product that is like a medicine without consulting your doctor, it is best to consult your pet’s veterinarian before you use a new flea or tick treatment product. They know what chemicals are safe to be used and what is not. They can also lead you in the right direction towards the most effective products that are currently on the market. Using their expertise in the matter can save you a great deal of time and money. 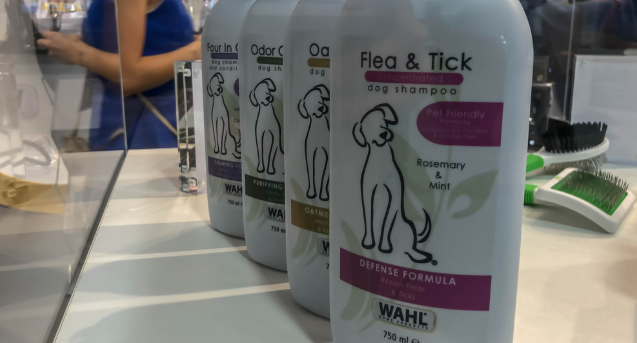 There is no reason to have a long battle with a flea or tick issue when there are so many products that are extremely effective and just take a few days to start working. While there are a number of flea and tick shampoos that can be used on dogs and cats, they are only so effective. This is because of the fact that if your pet has fleas, then there are likely fleas around your home as well. Additionally, it is almost certain that there are also eggs that have been dispersed around your home as they fall off the pet after they have been laid. This means that your pet will easily be reinfested unless you consistently wash them with the shampoo until the very last flea has died. However, if you do use the shampoo in conjunction with other products to treat your home you will stand a better chance of eliminating the problem. Ticks are an even bigger problem as they are found outdoors and attach to your dog when they are let outside. Clearly, you can’t eliminate a tick population that lives outdoors. In this situation there are typical must more effective means of keeping ticks off of your dog. 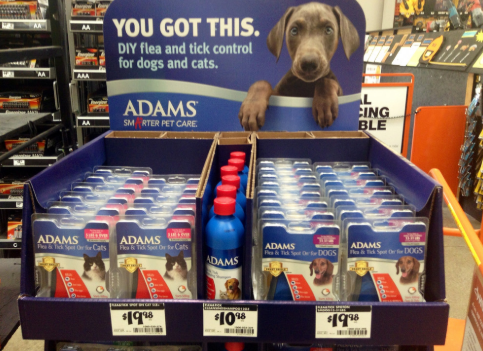 A good alternative is a dog flea spray. There are a few products on the market that are extremely effective and easy to use. They are applied once each month to the nape of the neck. The product is then absorbed by the skin and into the bloodstream. They kill the pests when they feed off of the animal. It also kills the larvae within minutes because the dander on the pet, as well as flea feces, is covered in the chemical and poisons them. This is extremely effective at managing the problem on the best as well as around the home because when the loose fleas and larvae come in contact with the host again, your pet, they will die shortly thereafter. In time there will no longer be any fleas or ticks that have survived. It is still advised, however, to do all that you can to remove the pests from your home to prevent the spread of disease and improve the quality of life for your pet. Another great aspect of using this type of treatment is that it is extremely safe. Pets rarely have reactions to the brand name versions of these products and they will not run the risk of ingesting them due to where they are applied. With other products such as powders and shampoos, there is the ongoing risk that they will become sick due to their natural grooming habits. In the end, the key to finding a safe product that will be effective in eliminating fleas and ticks from your pet and home is to take the time to do your own research. There is not one answer to what is best for every situation, but there definitely should be a concern for safety to ensure the health of your pet as well as anyone else in the home. The more time you take to investigate your options, their reputation and how others feel about them, the more likely it is that you will find the right option for you and your pet. The effort will be well worth the reward when you are no longer watching your pet suffer or worrying about having these pests in your home.